When people call for more diversity in comics, the argument that often gets overlooked, and it’s the most important factor in my mind, is the potential for fresh stories from perspectives that have yet been retold to a point of oversaturation. Ram V’s Black Mumba is the perfect example, a noirish crime anthology lent resonance by its grim Mumbai setting. This is not to say that Ram V’s (Aghori) quartet of tales don’t hold up without the novelty of an unfamiliar setting. 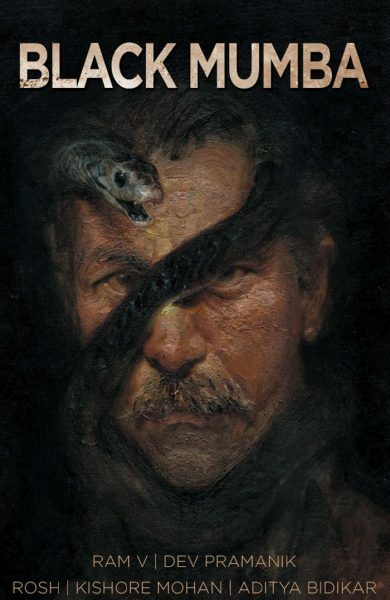 His characters are nuanced and dwell in a plausible world seeped in pathos. The second story, ‘Rats in the Dark’, paints a far richer picture of Mumbai’s class divide and cavernous poverty than the likes of Slumdog Millionaire. 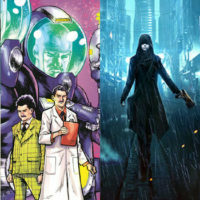 Some excellent black & white art here, too, courtesy of Devmalya Pramanik, Kishore Mohan, Rosh and Aditya Bidikar. 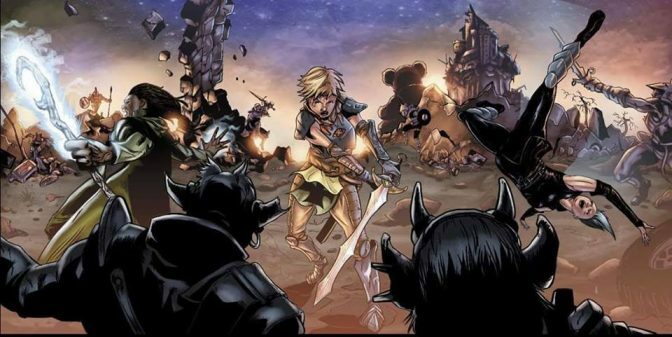 Vessels is a really interesting new fantasy series from Card Shark Comics that, according to creator Dave Cook, is inspired by the grim fantasy setting of the Dark Souls games and the Droste effect narrative of Inception. 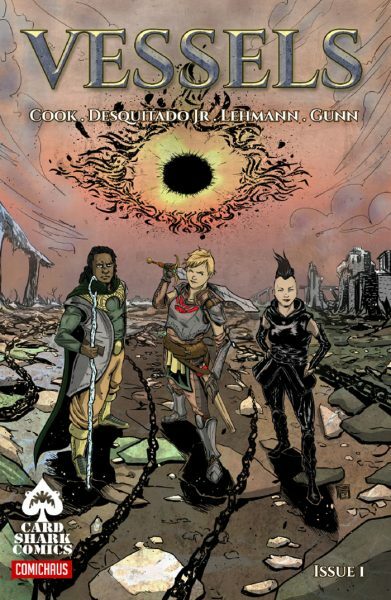 Illustrated by Rafael Desquitado Jr and Dennis Lehmann, it’s a slick fantasy romp set across multiple worlds connected by a realm of dreams referred to as the Veil, and follows a young girl called Wake as she travels through the land of Cairnthala with a destructive entity known as the Eye-God in pursuit. The thing I loved about this issue is that while the world and characters tick the usual fantasy archetype boxes, its creators aren’t afraid to throw those conventions straight out the window. 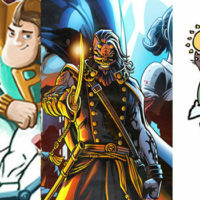 The action is spread across a diverse and interesting cast and even infringes upon our modern world, in a WTF moment that instantly sold me on the series. By the end of the first issue, much of Vessels’ plot still doesn’t make a great deal of sense, but given the ideas on display here this series has the potential for some big surprises. 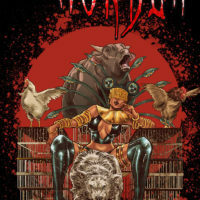 Vessels #1 is available from cardsharkcomics.com. 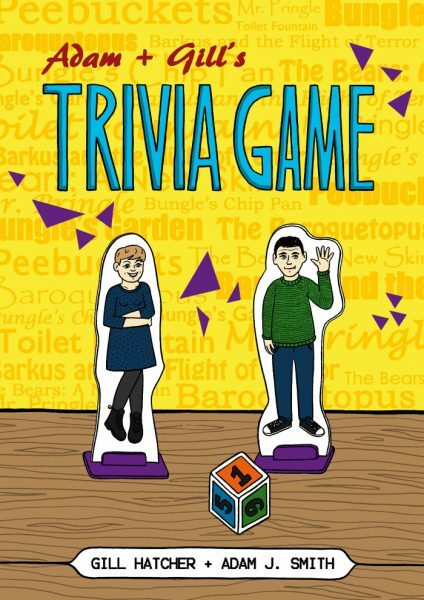 Adam and Gill’s Trivia Game is the product of Adam Smith and Gill Hatcher, the frenzied minds responsible for the enduring Scottish anthology comics Khaki Shorts and Team Girl Comic. I reviewed The Khollected Khaki Shorts earlier this year, and called it “silly, irreverent and immature in the best possible way”. That’s also a pretty apt description of Trivia Game. 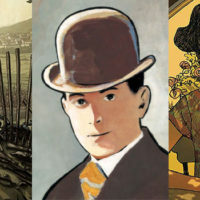 This very Scottish compilation continues the fine British tradition of unabashedly nonsensical comic strip anthologies that sadly seems to have gone the way of the Dandy. The highlights for me for were ‘The True Story of Julius Pringle’, the farcical history of the moustachioed Pringles mascot, and a bizarre sketch featuring a high tech water fountain that refuses to let its hydrated drinkers leave until they’ve subsequently relieved themselves. 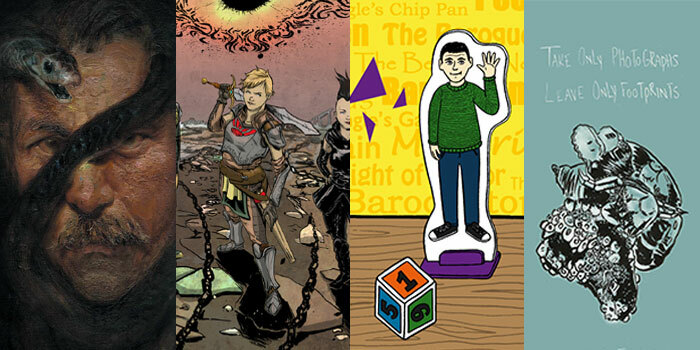 Adam and Gill’s Trivia Game can be purchased from comicsy.co.uk. 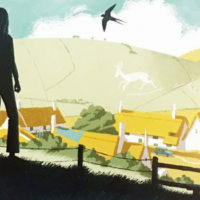 Wow, this gruesome one-shot tale from Tom Smith and Katie Whittle was a pleasant surprise, largely because I had absolutely no idea what it was about when I started reading. 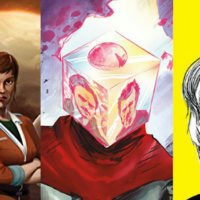 Successfully Kickstarted in May, the book’s indie stylings often feel at the opposite end of the comics spectrum to its genre intentions, which lends the book an atmosphere entirely its own. Katie Whittle’s art is messy and spontaneous in a way that I don’t always warm to, but here it works really well, and her visual narrative is wonderfully inventive in places. For instance, an unsettling scene in which Ben is awoken by Kate begins with a POV obscured by the inside of his eyelid. 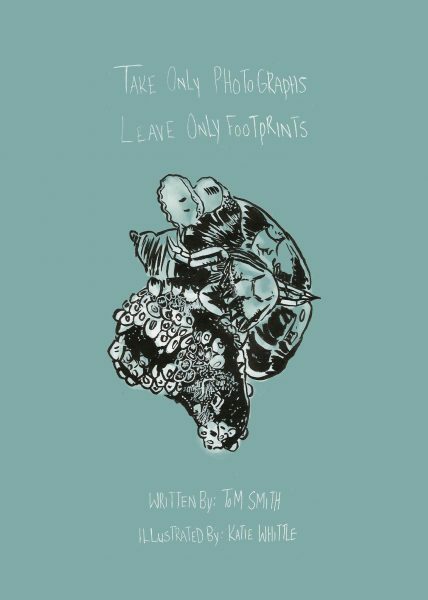 Take Only Photographs, Leave Only Footprints is currently available digitally on Amazon Kindle, and physically on Comicsy.